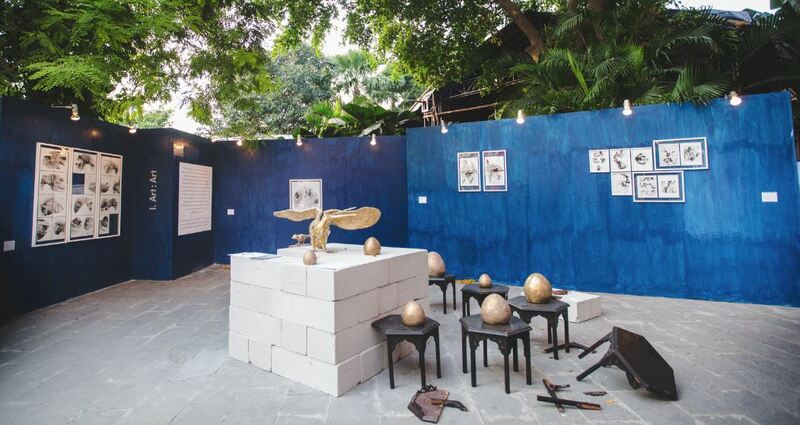 Putting the spotlight on Indian design, and with a promise to ‘Revive Reinvent Relove’ quintessential Indian aesthetics, this mega event, that’s rooted in its ‘made in India’ philosophy, took over the sprawling grounds of Swabhumi heritage centre in Kolkata last week. 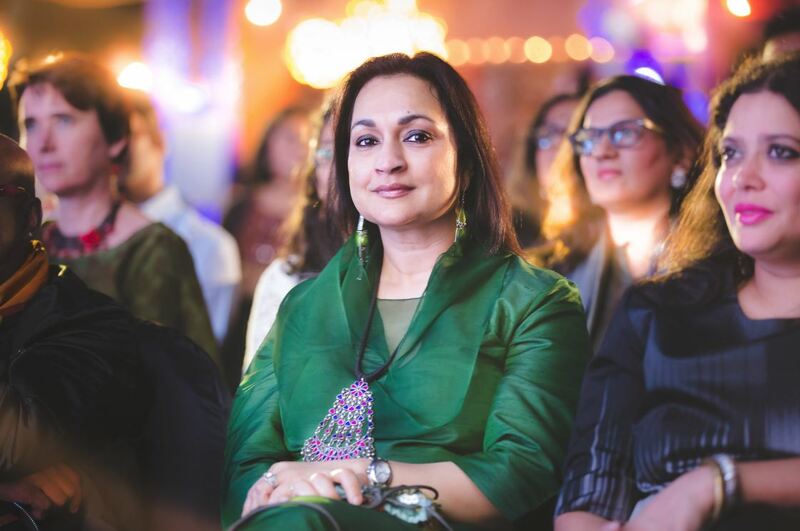 The India Story (TIS) 2016 is an initiative conceived by Madhu Neotia, spearheaded with the help of food entrepreneur Abhilasha Sethia, co-initiator and trustee of Neotia Arts Trust, and curated by designer Nil. 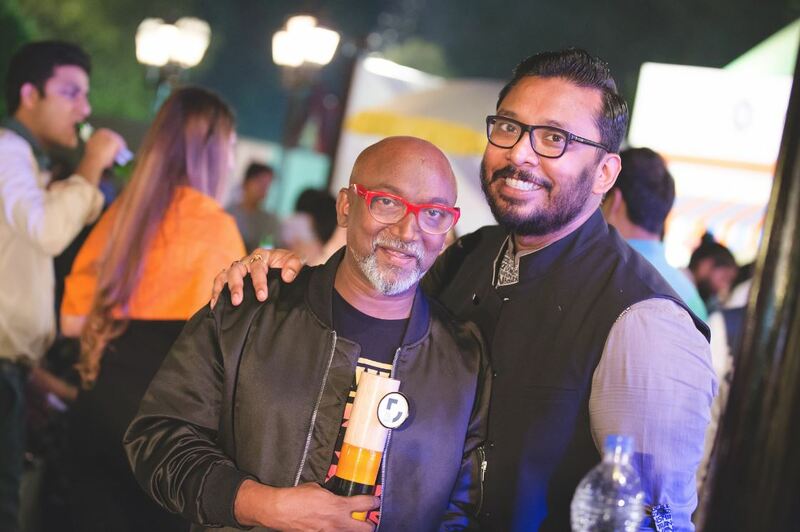 Ad guru Swapan Seth acted as the convener of the TIS Advisory Board while music director Shantanu Moitra donned the role of creative consultant, also composing the theme music for the event. Designer Amitra Sudan Saha, working alongside art historian Mitchell Abdul Karim Crites, curated Mughal-Rajput Revival and entrepreneur Anahita Kayan was in charge of What’s Next, sections focusing on the centuries-old arts and crafts traditions and young talent in the contemporary art, fashion and design scene respectively. “India is so vast that there are many possibilities to explore and it’s only going to get bigger with every passing year. This year we had 70,000 visitors and despite being a ticketless event, the crowd was really good. We could have done it in New York or Toronto but we didn’t want to deprive the people of Kolkata…this is our gift to them and the city,” says Neotia. The fashion, lifestyle and culture expo, currently in its second edition, was a four-day affair, starting last Thursday. 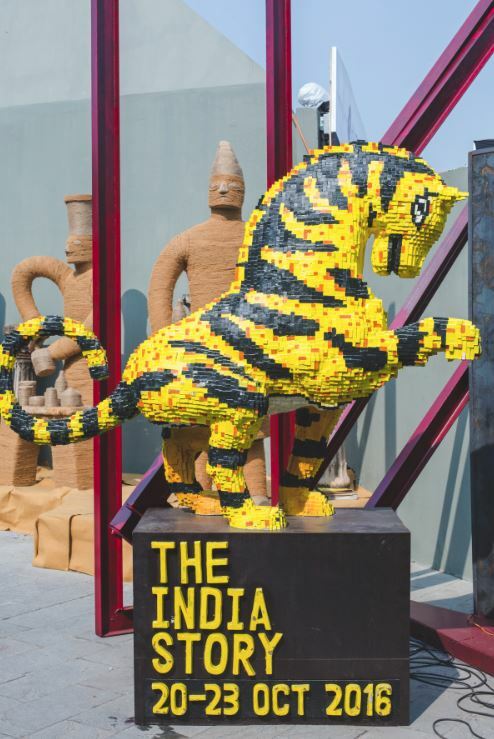 Open to the public from Friday, it brought together the best of Indian heritage in a contemporary setting, along with the who’s who from the worlds of business, music, film, media, art, food and design. 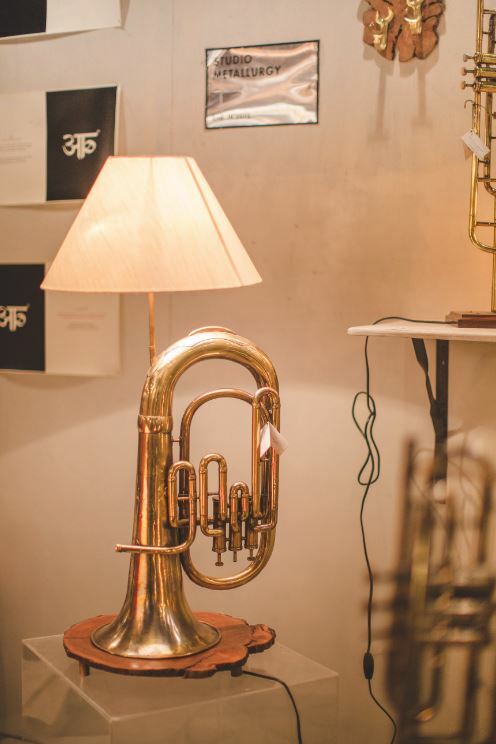 Divided into various zones spanning fashion, decor, accessories, furniture, art, jewellery and beauty, the collaborative creative space also had on offer food counters (ranging from pastries to street food), a Rajasthani restaurant, artisanal cheese and a drinks section. “The India Story for me showcases the diverse nature of Indian design aesthetics and practices — which is speaking a different language of its own — away from the boxes it gets otherwise put in,” shares Nil. 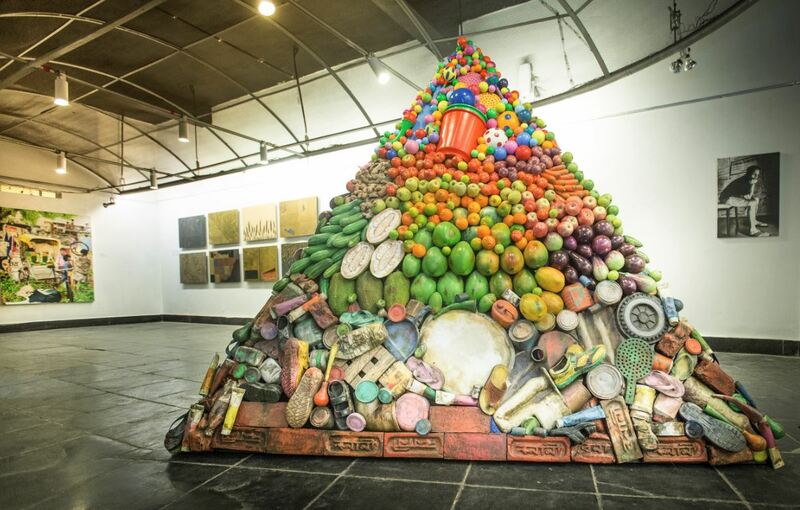 The Platform section focused on contemporary visual practice and comprised four galleries — Nature Morte, Exhibit 320 and Latitude 28 from New Delhi and Experimenter from Kolkata. 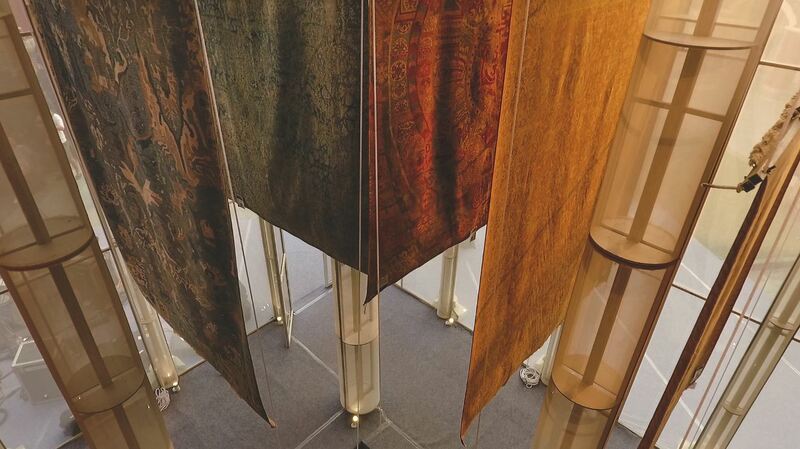 Suhasini Kejriwal’s paintings and installation, inspired by daily life, were thought-provoking. Emami Chisel Art had on display paintings by Bratin Khan, Prosenjit Sengupta and others; and sculptures by Shukla Bhattacharya and Bimal Kundu, to name a couple. And we definitely felt the love when Bose Krishnamachari, co-founder and artist-curator of Kochi-Muziris Biennale, picked up the Hall of Fame award. In fact there was art everywhere you looked. The space was sprinkled with a healthy dose of installations and canvases, and we couldn’t help but stand and stare every now and then. It dawns on me that the buzzing ambience, discerning audience and top-notch offerings are some of the prime reasons for the event’s success and draw. 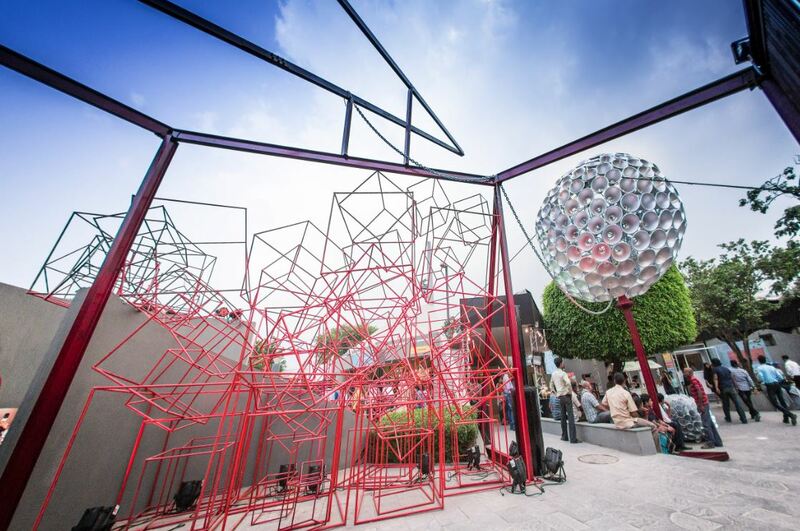 Installations dotted the open-air space, from Narayan Sinha’s red boxy creation to Abin Chaudhuri’s interactive mirror art. 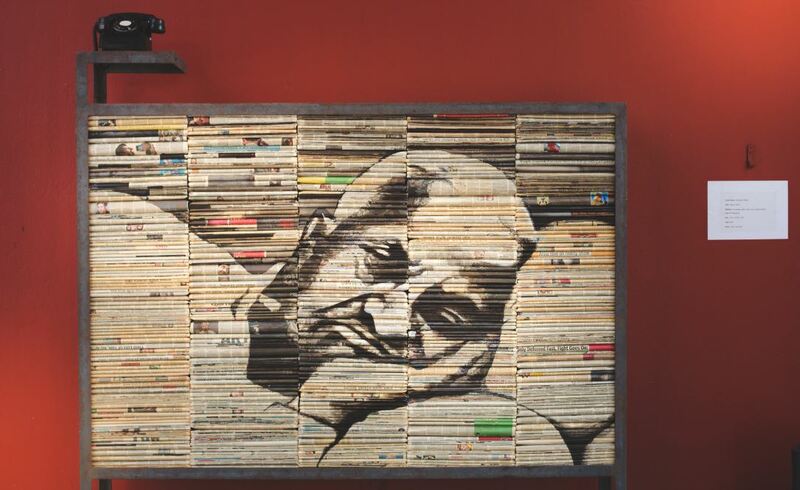 My personal favourites were Radhika Agarwala’s nature-inspired sculptures and Snehashish Maity’s Silent Voice that is made up of newspapers, resin, glue, iron, acrylic and an old telephone. Whether it is violinist and vocalist Karthick Iyer accompanying the Rahul Mishra fashion show on the invitations-only opening night, or the live electro outfit Nicholson that begs a mention, the music had us engaged. Day three and four had city bands Big Family Blues Ensemble and Parekh & Singh plus many more entertaining the crowds. All the acts were supported by fantastic lighting that added a dimension to the atmosphere and music. 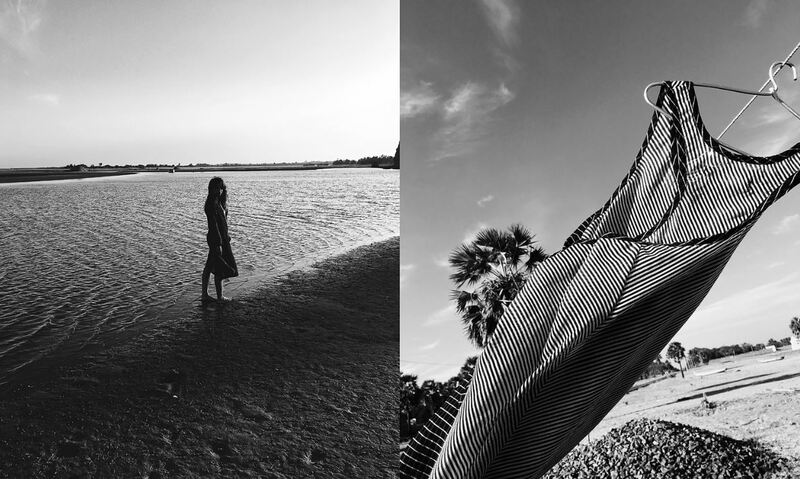 From Anavila Misra to Arunima Majhi, this is where all the fashion cognoscenti in Kolkata gathered during the past week. We loved the covetable comfort clothing from Naushad Ali (check out their handwoven maxis, kaftans and newly introduced saris) and the maxi shirt dresses by Mrinalini Gupta (who won in the Fashion Design category at the first TIS Design Awards on day two). We are lusting for Verandah’s special ‘Diwali cut’ salwar kameezes, embroidered capes and the special ‘men’s edit’ of bundis, shirts and trousers, Kiran Uttam Ghosh’s elegant assortment of angrakhas, draped saris with waistcoats and sherwanis for women and Antar-Agni’s seriously functional clothing. Abraham & Thakore, Raw Mango, 431-88, 11.11 / eleven eleven, Doodlage, Misho and Three were among the labels with ample takers. The Jaipur-based October (wallets, clutches, camera and laptop bags and totes in leather and textiles like dari and ikat, using crafts and techniques like blue pottery and tie-dye), Aanupamaa Jalan’s ceramics and Fresco’s fine china and porcelain tableware were clear favourites. Also on our radar were the jewellery from Malvika Vaswani and Amrapali, the Shantiniketan-based Franco-Indian design house Terra Indica, interdisciplinary lifestyle design studio Anantaya and luxurious carpets from Obeetee. All in all, it was really a love story, with India at the centre. The India Story was open to all from October 21 to 23 at Swabhumi, The Heritage Plaza, Kolkata.